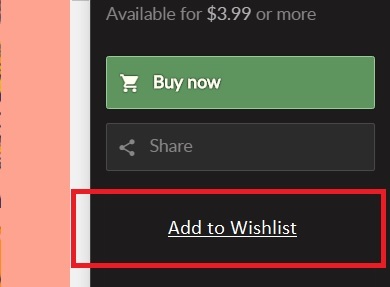 I am requesting a button to add a game to a wishlist(similar to Steam wishlist). Currently I can do it by adding it to a custom collection named 'Wishlist', but having a button would make it more convenient. I think this is a good idea, there's no integration for adding games to a collection directly in the app at the moment. In the meantime you can use the add to collection button in the game's frame to do it. I'd be very interested into this feature too. Most of my purchases these days happen thorugh Steams "an item on your wishlist is on sale", since the easy access to digital games has me swamped in hundreds of games, I want to play and never will have the time to. Having a wishlist, and something that reminds me of items on it, is a major driver of purchase for me. Note that the effect isn't about having discounts; It is about having an easily managed list, that gives me occassional reminders. On Steam, the latter simply coincides with sales.